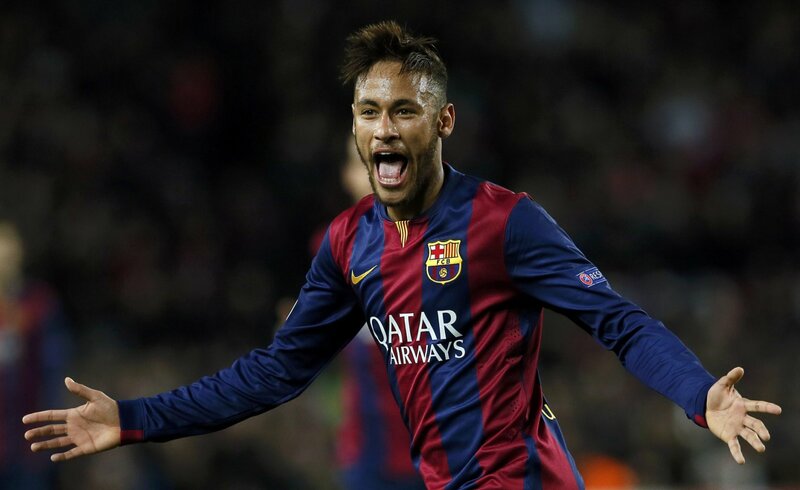 Neymar Agrees PSG Contract In 2017. Barca forward Neymar has reportedly agreed to join Paris Saint-Germain next year, in a deal that would earn the Barcelona forward €50m a season. Image: Neymar agrees PSG move in 2017. According to UOL, "the reason for Neymar’s proposed extension with Barca, agreed a few days before the Copa del Rey final last month, going quiet is because of a secret pact with PSG." If the Brazilian outlet is to be believed, the attacker will join PSG in 2017 and earn double what he currently receives from La Blaugrana, although €10m of that will be made up of variables. Neymar has long been linked with PSG due to both their Brazilian connection, with the likes of Marquinhos, Thiago Silva, David Luiz and Lucas Moura on the club’s books; and desire to land a superstar in light of Zlatan Ibrahimovic’s exit. The ongoing tax-fraud case relating to Neymar and his father has also reportedly prompted the player to consider leaving Spain. It is understood that both Neymar and his father are of the opinion that the only way for the attacker to become the best player in the world is a move to Parc des Princes. PSG would be obliged to meet Neymars €192m release clause as Barca are not prepared to sell the 24-year-old for any less, while an extension beyond his present 2018 deal would make the transfer significantly more expensive. 18 Comments on Neymar Agrees PSG Contract In 2017. Excellent post. I was seeking this particular info for a long time. Lucky Neymar. I love him though he can be selfish at times. I wonder how much attempt you place to create such a magnificent informative website.